Usage: Washroom, Bathroom, Home, Hotel, Restaurant, Office, Shop, Showroom, College, School etc. We are industry famous name indulged in producing and supplying a supreme quality range of Bathroom Simple Corner to our highly valued shoppers. These are largely used in various industries. We offer these products at a very low market prices. 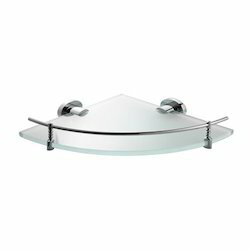 We have gained a remarkable position in the market that is involved in offering Acrylic Corner Shelf. 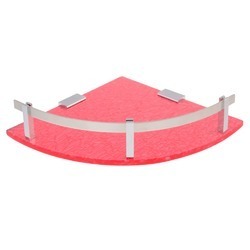 Stand size: 10" x 10"
We are the manufacturer and supplier of Acrylic corner shelf . Owing to the rich industrial experience and expertise in this business, we are involved in providing Acrylic Corner Shelf.